Verified Taiwan and China Diesel Generator Manufacturers & Diesel Generator Suppliers. (1) power/ recycling/ construction equipment. (2) trommel range. (3)recycling/ crushing systems. (4) mobil concrete mixing plant. (5) foundation equipment system. 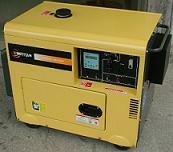 (6) combien heat, power system, Generator power system, electric Generator, electrical Generator, power generators. (7) chieftain range. Taizhou Kensenwe Vehicle Manufacturing Co., Ltd.
(1) vehicle- electrical bicycles, motorcycle, electrical motor cycles & scooters, gas motorcycles, ATV, go karts & choppers, gasoline scooters, pocket bikes, dirt bikes ( motorbikes). (2) tools- grass & brush cutters, gasoline & Diesel generators, cordless drills. (3) sanitary ware- steam rooms, steam showers, massage bathtub, sauna rooms, electric & coffee kettles. industrial machinery & equipments- (1) gasoline engine, gasoline engines, gas engines. (2) power generators- gasoline & Diesel generators, single phase powered generators, air cool powered generators, American design gasoline generators. (3) industry & marine pumps- water pump, high pressure water pumps. (4) high pressure washers- gas power ( gas powered) high pressure washers. Jiangsu Yingtai Group Co., Ltd. Manufacture of li-ion battery, lithium battery, generators, Diesel Generator sets, lithium battery core, polymer battery, plywoods. It has telecommunication coupling license and CCS ship inspection certificate. Its products have passed IS09001：2000. Homei Electron Shang Hai Co., Ltd. Manufacturer of flexible conveyors, chain conveyors, belt conveyors, slat conveyors, roller conveyors, suspension chain conveyors, mesh conveyors, table top chain conveyors, lifting conveyors, sorting conveyor systems, welding consumables, table clocks, pressure vessels , Diesel generators sets. Our products are exported to Australia, the United States, Europe, Africa, Japan and South East Asia, etc. Yiwu Generating Equipment Co., Ltd. Engaged in the research of rate meter, rate meters, gasolines, kerosenes, Diesel generators, water pumps, gasoline engines, our products have passed ISO 9000/ 9001/ 9004/ 19011: 2000 certification, our mainly export market is North America, South America, Eastern Europe, Southeast Asia, Africa, Oceania, Mid East, Eastern Asia, Western Europe.